Back in the day, stockmen (people who take care of livestock… yes I had to Google that) who were working and traveling in remote areas used to make damper over a campfire. 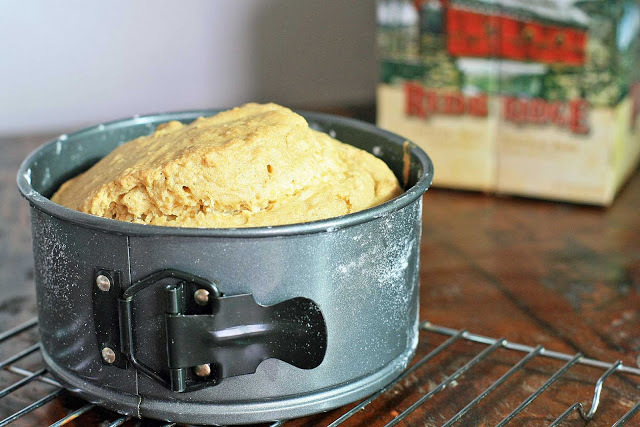 Back then damper was made from a simple mixture of wheat flour, water and salt, although it seems like it’s evolved over the years to mean almost any sort of Australian quickbread. It took me a couple tries but I finally got a gluten-free damper that I was happy with. It was springy, had a soft crust, and kept surprisingly well (although it didn’t last too long). I baked this in a small springform pan to get the same roundish shape of the original dampers, but feel free to bake it in a normal loaf pan. I also added some beer… I have a feeling that the stockmen wouldn’t mind. Just one note of caution: I tested the bread after about 45 minutes and a toothpick came out clean. I started slicing it and another part of the bread was still wet. So make sure to test several areas of the bread before taking it out of the oven. Preheat the oven to 350 degrees and grease a 6.5-inch springform pan and dust with rice flour. 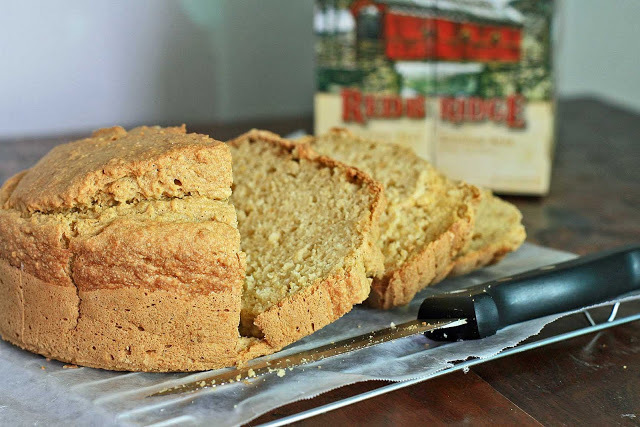 In a large bowl combine the brown rice flour, cornstarch, millet flour, rice bran, brown sugar, baking powder, baking soda, xanthan gum and salt and stir to combine. In a medium bowl, mix about half of the beer with the oil and eggs and then add to the dry ingredients and stir to incorporate. Add the remaining beer and stir well to mix. Pour the batter into the prepared pan and bake for approximately 1 hour, or until a toothpick inserted in several areas all come out clean. I’ve bought those half gallon jugs of Odwalla carrot juice several times but never managed to actually finish one. 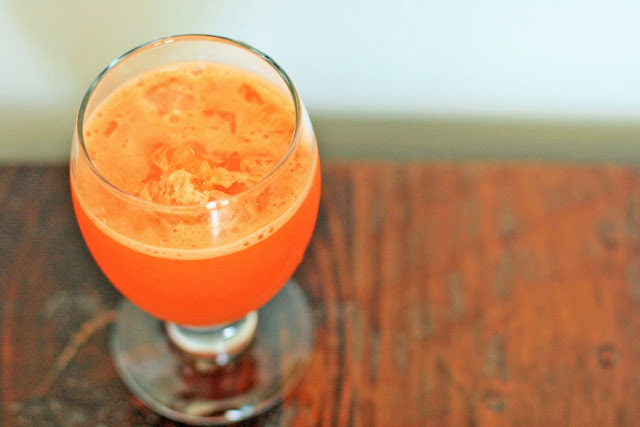 I wish somebody had told me the Jamaican secret to making carrot juice awesome- ginger and lime. We had some beautiful weekend weather with light winds, which made it the perfect time to do some surfing. This was the perfect post-surf pick-me-up. If the ginger doesn’t wake you up, the color sure will. I used my Vita-mix to make the juice but I’m sure a regular blender will work as well, though you may want to strain it to make sure it’s free from pulp. And yes, that dayglow/safety/flourescent orange is the real color of the drink. No Photoshop magic there. 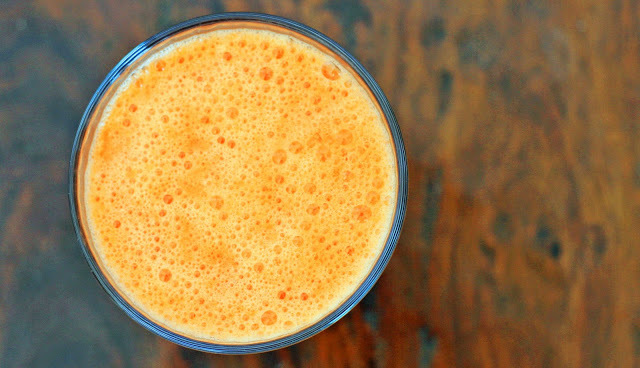 Combine the carrots, water, ginger and lime juice in a blender and process until smooth. Strain, if necessary, and and sugar to taste. Pour over crushed ice. As much as I’ve loved taking the time off for both work and fun (international trips! beach days! reading actual books! ), my slacking has started to catch up to me. No longer am I able to quickly pull up new favorite recipes online… recipes are now scattered in various notebooks and scraps of paper. It’s a bad scene. In a morar and pestle, pound the chiles, salt and sugar until the chiles have begun to break down and have tinted the mixture a light pink. Scoop mixture into a small serving dish. 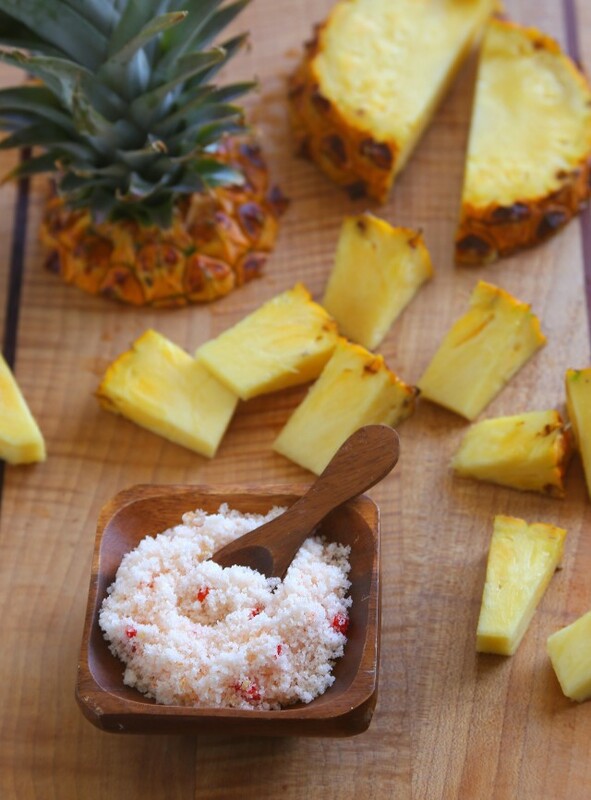 Dip the chunks of pineapple in the chile salt and enjoy! Dear hard boiled eggs. We’ve come a long way, you and I. A couple years ago I wouldn’t even consider allowing you to pass through my lips. And now you’re one of my go-to spinach salad toppings. I also like to cut you lengthwise and stuff you with glorified tuna salad and use you as a protein in Asian curries. 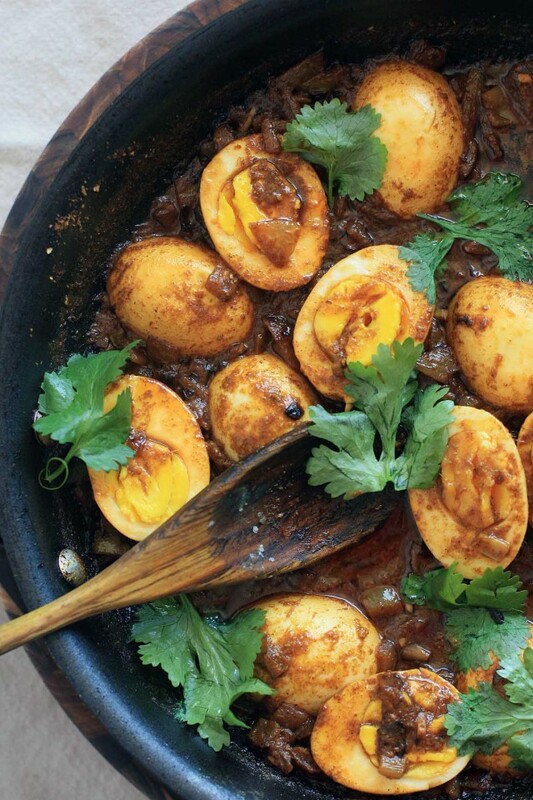 You really are the incredible, edible egg. Because I missed out on so many good years of eating hard boiled eggs, I’m doing my best to make up for lost time. 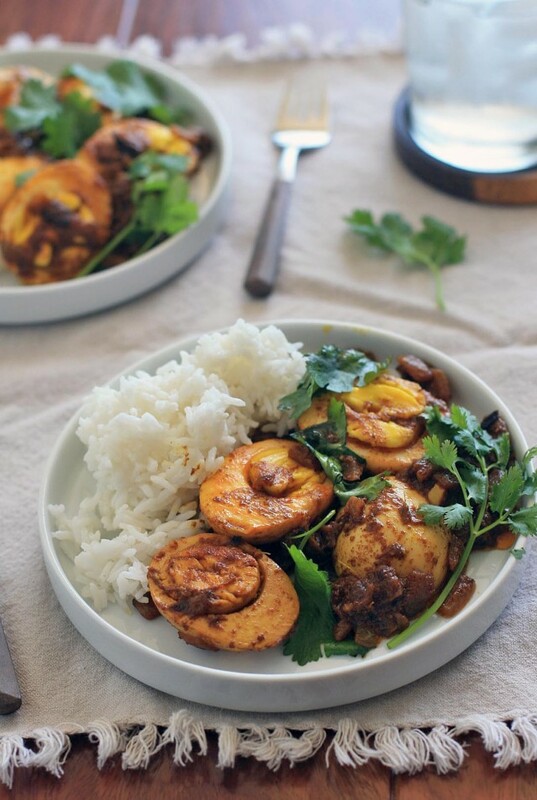 I tend to make a large batch every week to store in the fridge for salads, which means that if I plan ahead and make a few extra, this egg curry becomes a very quick and easy weeknight meal. 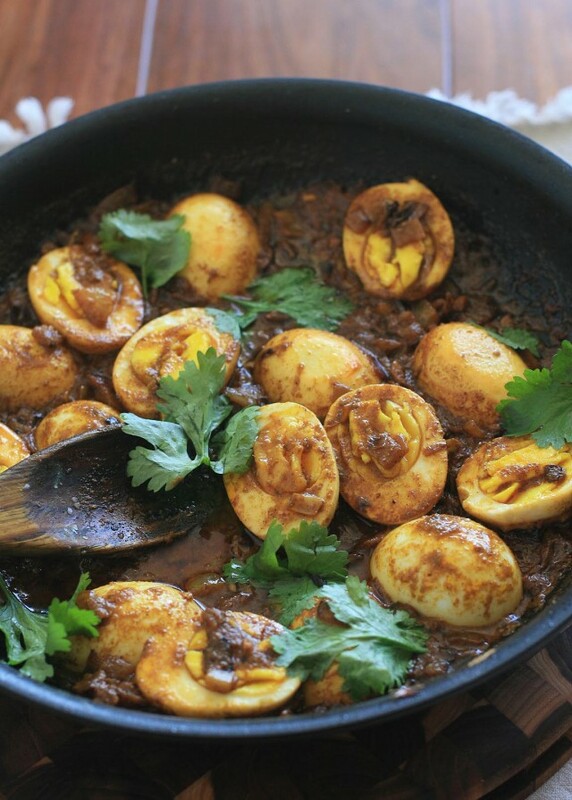 This vegetarian curry combines hard boiled eggs with a highly aromatic sauce that’s made with a sauteed onions, Indian spices and yogurt. 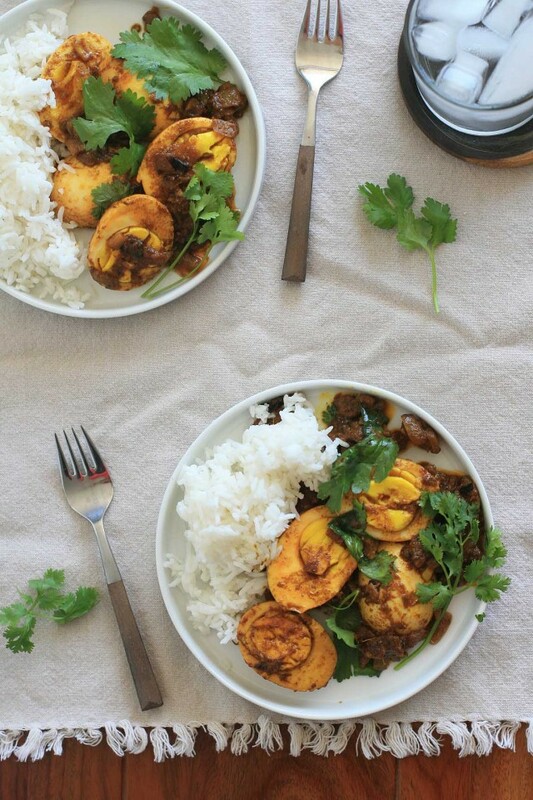 So if you’re looking for a hearty vegetarian main dish that’s filling, uses basic ingredients, and is friendly on the wallet, then you’ll want to give this one a shot. Heat three Tablespoons of the oil in a large skillet over medium-high heat. Add the onion and cook, stirring occasionally, until the onion turns golden brown. Add the coriander, ginger, garlic, cumin, turmeric, and cayenne and cook, stirring frequently, for about one or two minutes or until the mixture turns dark and smells very fragrant. 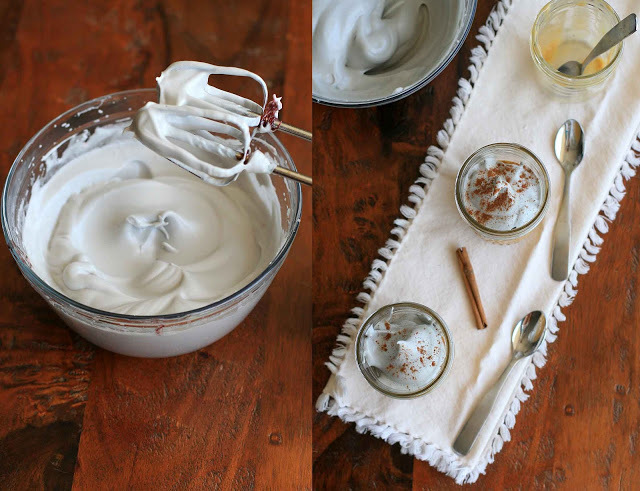 Reduce heat to low and, while whisking continuously, add the yogurt. Cook, stirring frequently, until the mixture thickens a bit. Add the water, salt and sugar and increase heat. Bring the mixture to a boil and then reduce heat again to low and simmer the sauce to thicken. While the sauce is simmering, heat the remaining Tablespoon of oil in a large skillet over medium heat. Add the egg halves, placing the cut/flat sides down. When they are begin to turn golden, flip them over and cook another minute or so. Add the browned eggs to the sauce and them simmer the mixture for 2-3 minutes to allow the flavors to meld and for the eggs to heat through. Sprinkle with the cilantro and serve. Is it just me, or does it seem like a lot of folks are eating Paleo these days? I’m not sure whether it’s because of the popularity of Crossfit or whether people just find that they feel better cutting out grains, sugar and whatever else it is that Paleo people don’t eat. Probably a combination of both. I was skimming some Paleo cookbooks looking for recipe inspiration awhile back and noticed that mashed cauliflower is the go-to substitute for mashed potatoes, although a quick Google search certainly seems to indicate it’s popular dish for both low carbers and Regular Joes alike. But most of the recipes I found online were loaded with cream or butter to replicate the same taste as the rich original dish. Now I have nothing against butter or cream, but plain mashed potatoes aren’t something I often make (or crave) outside of Thanksgiving dinner. 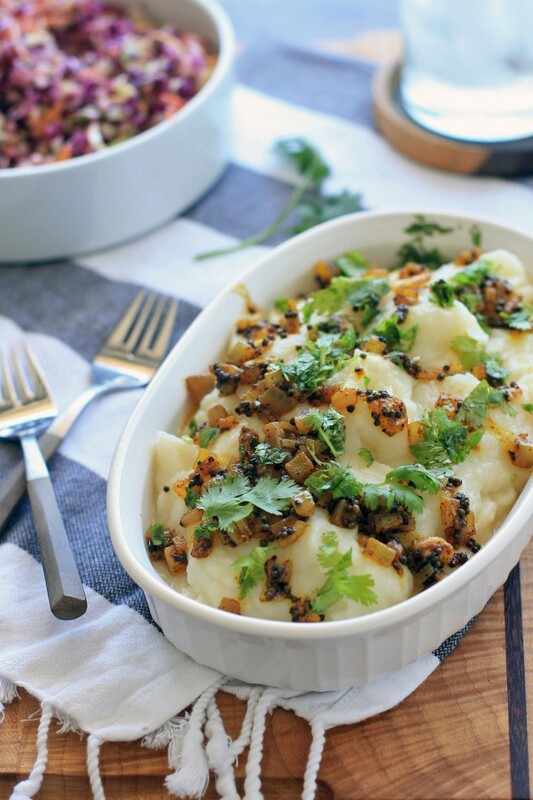 But when I came across an Indian recipe for spiced mashed potatoes from my favorite Indian cookbook author, I figured this would be the perfect opportunity to try the cauliflower for potato substitution. 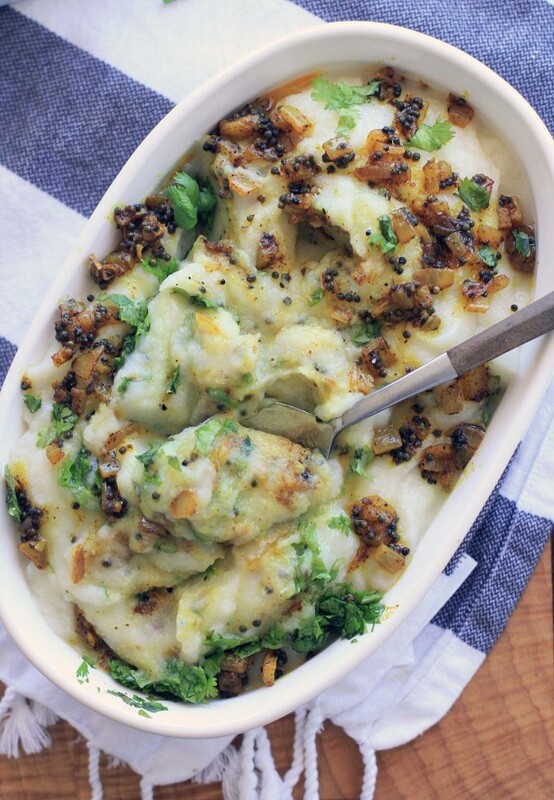 In this vegan and gluten-free dish cooked cauliflower (I boiled mine, but steaming or roasting would also work) is pureed, topped with a spicy mustard seed and turmeric onion topping, and garnished with plenty of chopped cilantro. No bland cauliflower here- this stuff is like a party for your mouth. Bring a large pot of water to a boil over high heat. Add the cauliflower and cook until the cauliflower is easily pierced with a fork, about 6 minutes. Drain very well and return to the stockpot over the still warm (but turned off) burner. Cover and let sit for 2-3 minutes. 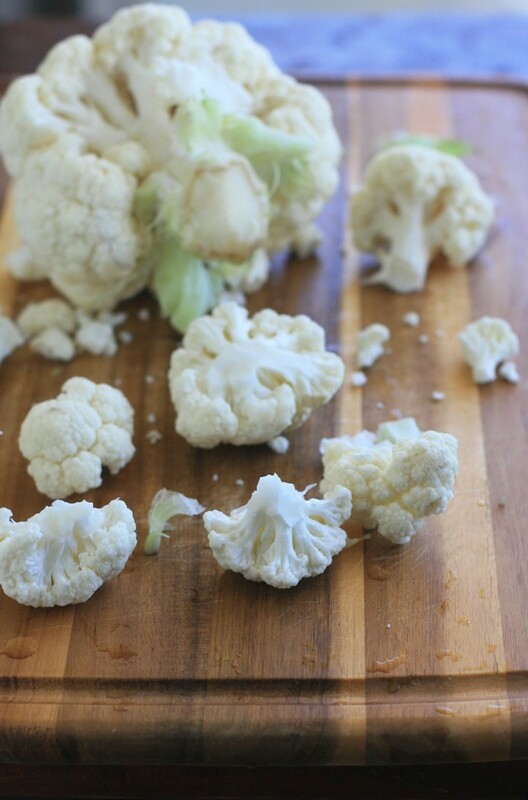 Place the cauliflower florets in the base of a food processor or high speed blender. 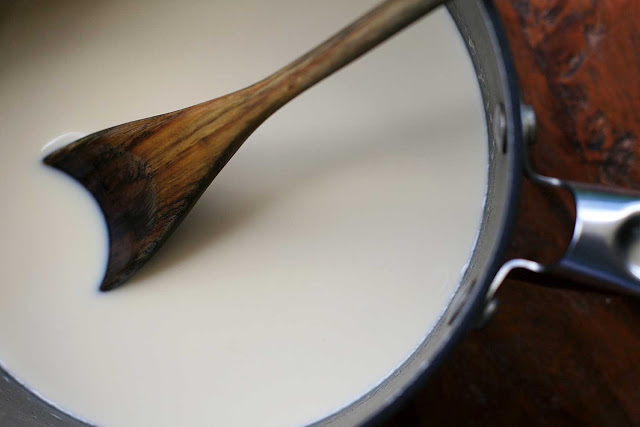 Process until smooth and creamy. 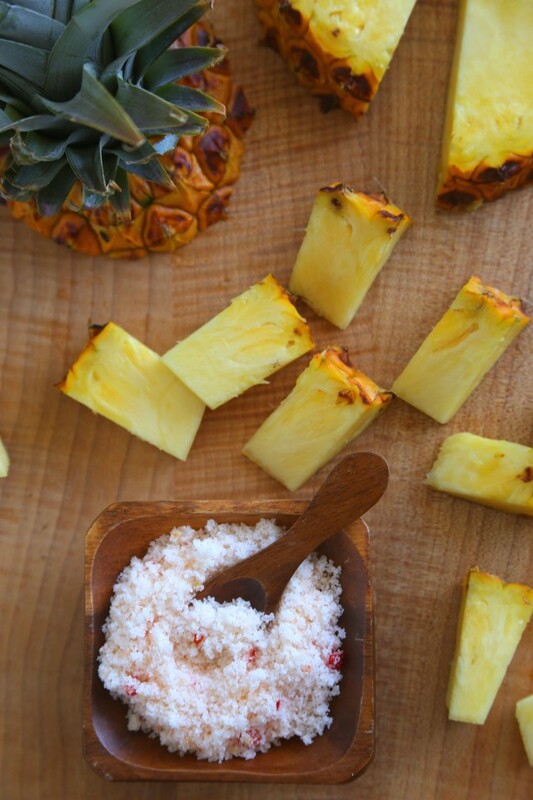 Season with salt and scoop onto a shallow serving bowl. In a small saucepan heat the oil over high heat until the oil begins to smoke. Add the mustard seeds and immediately cover with a lid or a splatter screen. When the mustard seeds begin to slow down/stop popping, add the turmeric, cayenne pepper and red onion. Cook, stirring, for about a minute, just until the onion begins to soften. 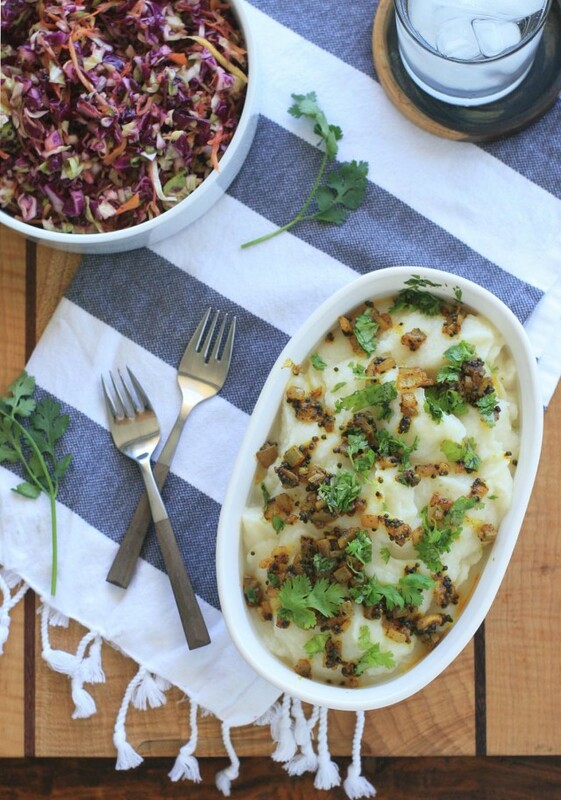 Scatter the mixture over the cauliflower and garnish with the cilantro leaves. Swirl the mixture together just before serving. It was the fall semester that I spent studying in Paris, which meant that my favorite holiday, Thanksgiving, was spent on the other side the Atlantic, far from friends and family. Although the French obviously don’t celebrate Thanksgiving, we were given the day off from classes and we celebrated with a holiday meal at a lovely restaurant at the Parc des Buttes Chaumont. Now it’s a fair bet to say that up until that point, I had participated in about 19 Thanksgiving meals, all pretty much identical (with the exception of one Thanksgiving spent on an ill-fated camping trip to Kings Canyon where I think my sister and I dined on some canned beans). You know the meal: a classic turkey, stuffing, cranberry sauce, mashed potatoes, sweet potatoes and maybe a green bean casserole. Pumpkin pie, naturally, was for dessert. But whoever the chef was in Paris that day felt no need to take the traditional route. 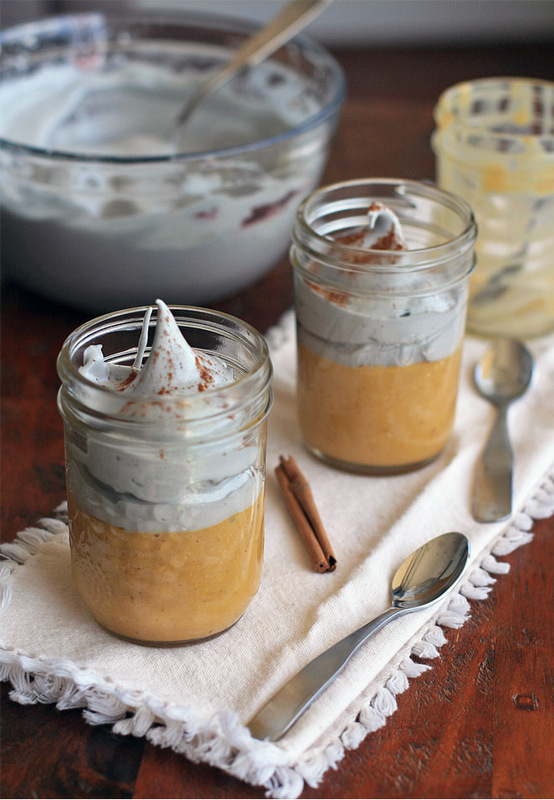 He or she took the basic flavors and textures of Thanksgiving and gave everything a major shake-up. Mashed potatoes? Nope… that’s celery root puree. Pumpkin pie? Negative, but there is a creamy pumpkin soup. 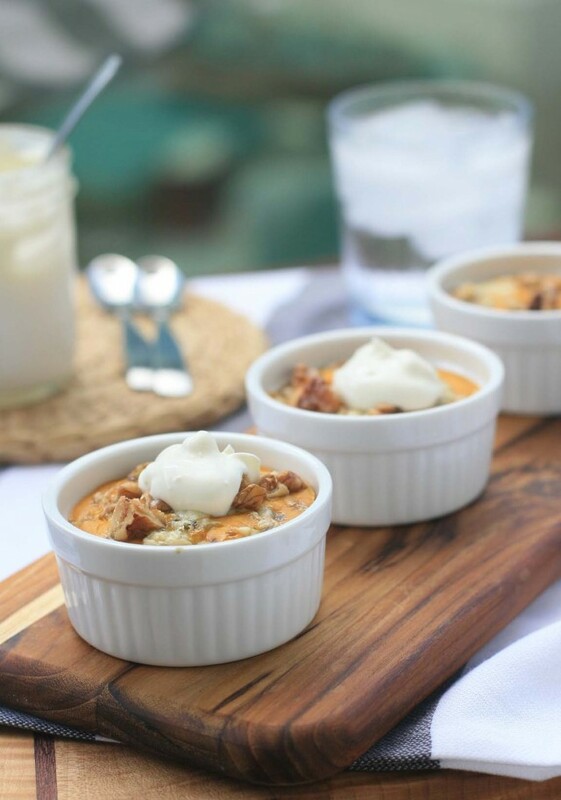 Dorie Greenspan’s pumpkin flans remind me of that day- you get a dish that’s vaguely reminiscent of the original, but with some major tweaks and surprises. 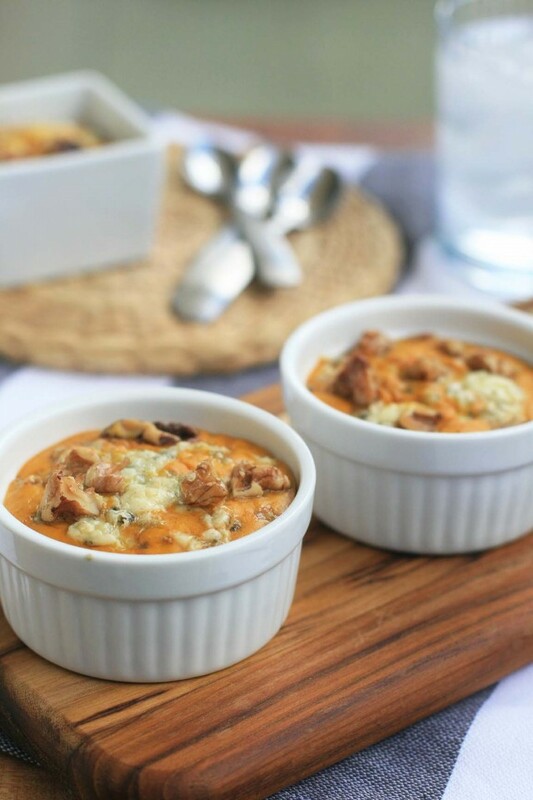 Pumpkin flan is topped with Gorgonzola cheese and some chopped walnuts. 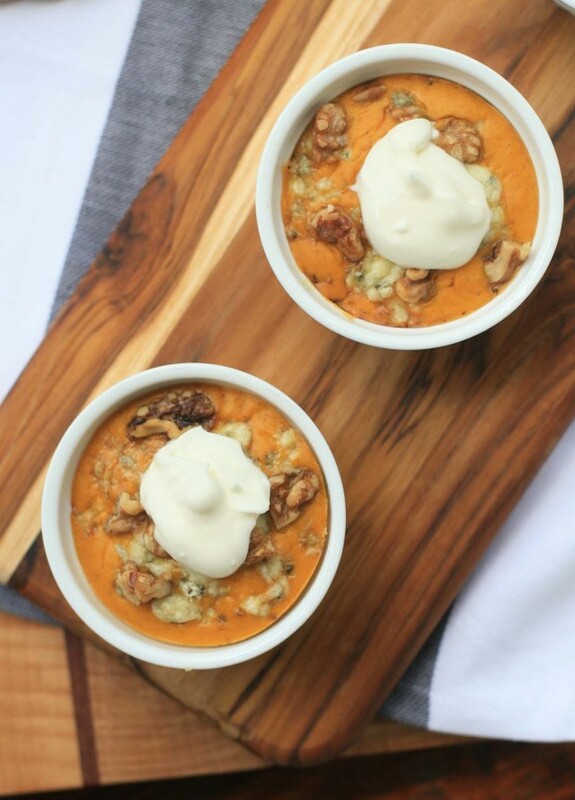 Add a dollop of creme fraiche and a drizzle of honey or maple syrup and you’ve got a pumpkin dish that’s part sweet, part savory. Now this sort of menu addition would never fly in my mother’s house (she’s a staunch traditionalist when it comes to the Thanksgiving meal menu), but if you’re the more adventurous sort this could be a fun way to shake up your own Thanksgiving or holiday meal. Preheat oven to 350 degrees and heat a saucepan or kettle of water to a boil while you prep the flan. Butter 6 custard cups or large ramekins. Line a large roasting pan with a double layer of paper towels (this will help prevent the cups from slipping and sliding in the water bath) and place the cups on the paper towels. Combine the pumpkin, eggs, egg yolks, cream and a couple shakes/grinds of salt and pepper in the base of a food processor of the jar of a blender. Process quickly, just until blended. 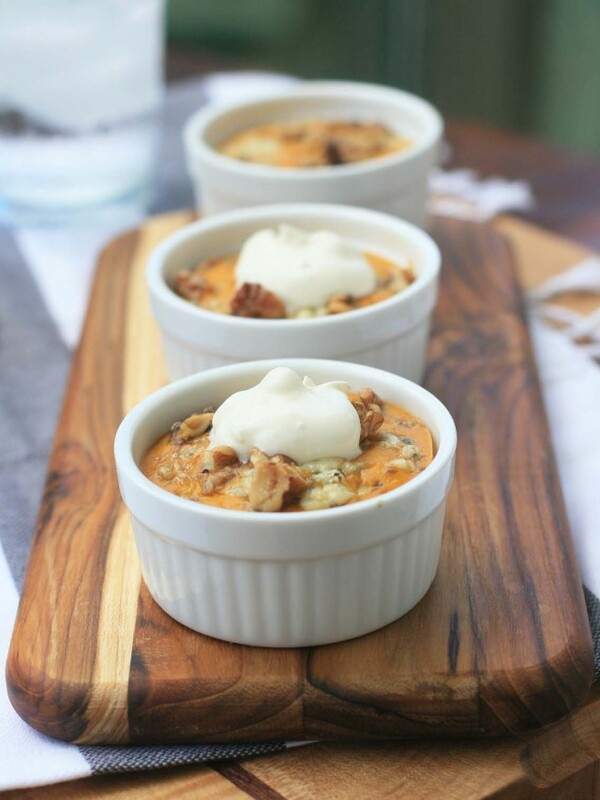 Pour into the prepared cups and sprinkle with the Gorgonzola and walnuts. Pour enough hot water into the roasting pan to each halfway up the sides of the cups. Bake for 25-35 minutes, or until a knife inserted in the center of one of the cups comes out almost clean (it will continue to cook even after removing from the oven). Remove from oven, place on a cooling rack and let the flans cool slightly in the water bath. Serve warm or at room temperature with a dollop of creme fraiche and a drizzle of maple syrup or honey. 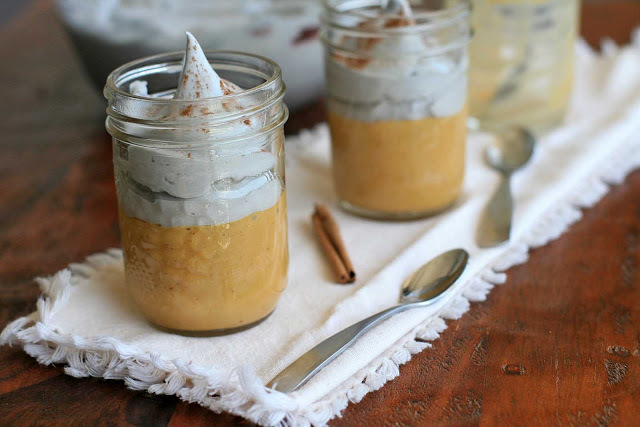 Fall/pumpkin fever? I’m afflicted… just like every other blogger out there. Just because it sometimes seems like an endless summer in Hawaii doesn’t mean that I don’t love all things fall. 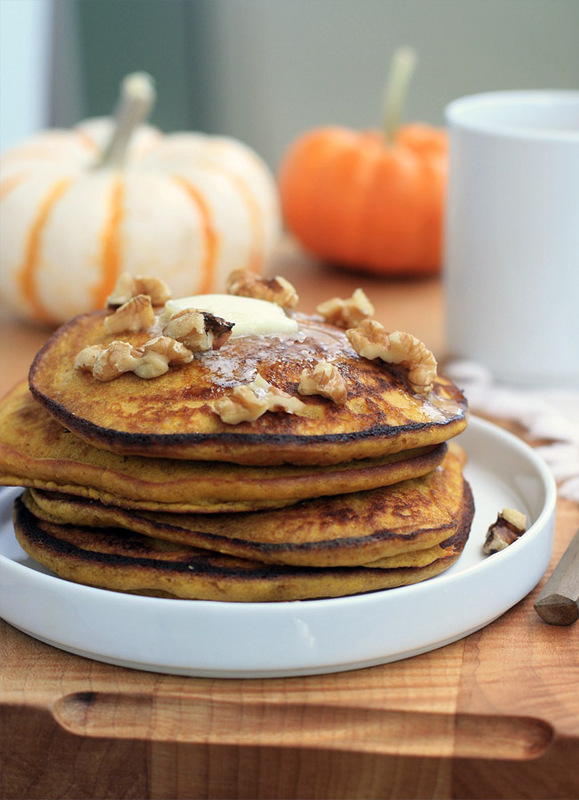 As I type this mini pumpkins adorn the bookshelves, the scent of pumpkin spice votives fills the air, and I’ve got a several batches of these pumpkin spice pancakes tucked away in the freezer for busy mornings. 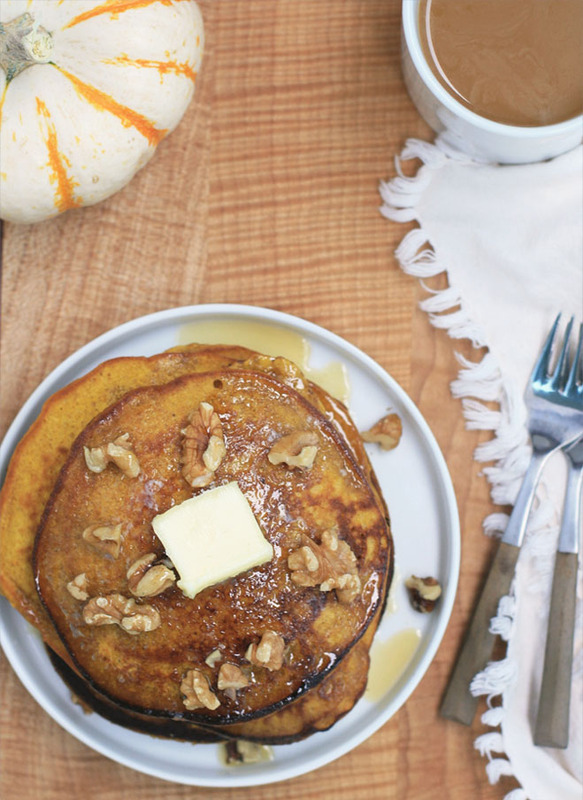 If you haven’t quite mastered gluten-free baking just yet, pancakes are a great place to start. You don’t need to be quite as precise and the results will taste just as good as their glutenous counterparts. 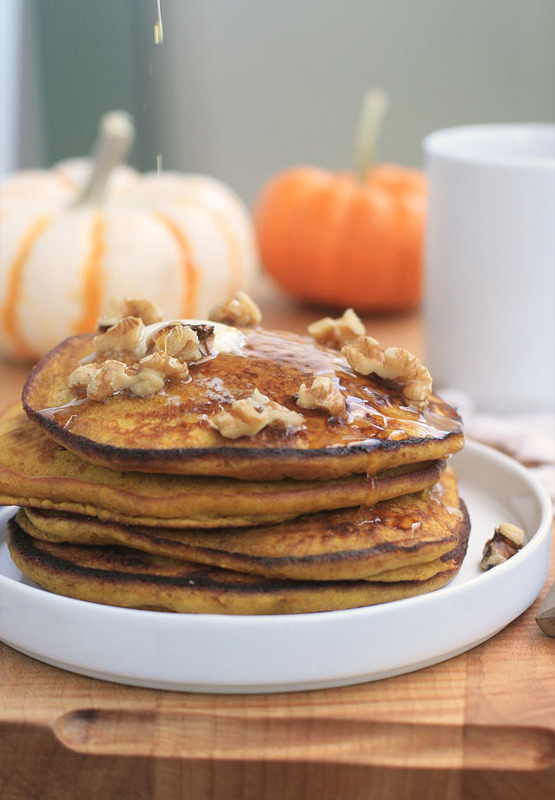 I was in a rush so I stuck with my standard rice flour, potato starch and tapioca starch mixture, but the pumpkin and spices should also work well with whole grain flours or even almond meal. In a large bowl combine the rice flour, potato starch, tapioca starch, brown sugar, baking powder, cinnamon, ginger, nutmeg, cloves, salt and xanthan gum. Stir to mix. Add the wet ingredients and mix using a handheld mixer until a smooth batter forms. Place a large frying pan or griddle over medium heat. Grease the pan or griddle with a pat of butter. Ladle the batter onto the pre-heated pan or griddle (there should be a slight sizzle when the batter touches the pan/griddle). When the surface is dotted with bubbles, carefully flip the pancakes and cook until golden. Serve with an extra pat of butter, some maple syrup and some chopped pecans or walnuts, if desired. When you’re accustomed to generic supermarket produce aisles, seeing all of the tropical fruits at an Asian market can be somewhat awe-inspiring. There’s a whole other world out there where apples, oranges and pears aren’t part of the daily diet. 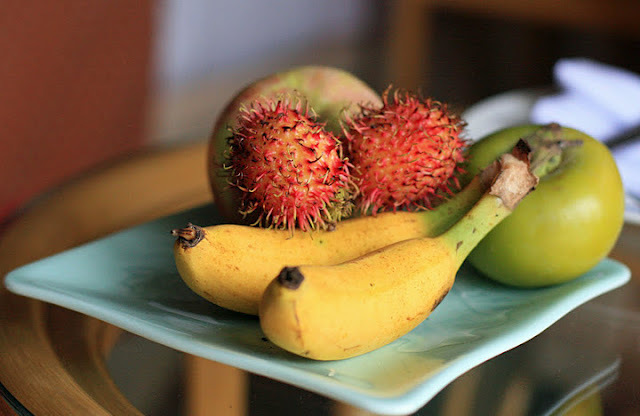 Instead, fruits like rambutans, longans, lychee, and starfruit are king. Each time I try a new tropical fruit, I cross my fingers, hoping it isn’t like the dreaded dragon-fruit… gorgeous to look at, underwhelming to eat. Luckily rambutans and lychee pass taste tests with flying colors; their firm, juicy flesh has a sweet, floral taste. I prefer rambutan, which seems to be a delicate in flavor, although lychee seem to be more popular… around these parts anyways. Lychee and rambutans are both grown in Hawaii, which means that both farmers’ markets and regular supermarkets sell them in season. 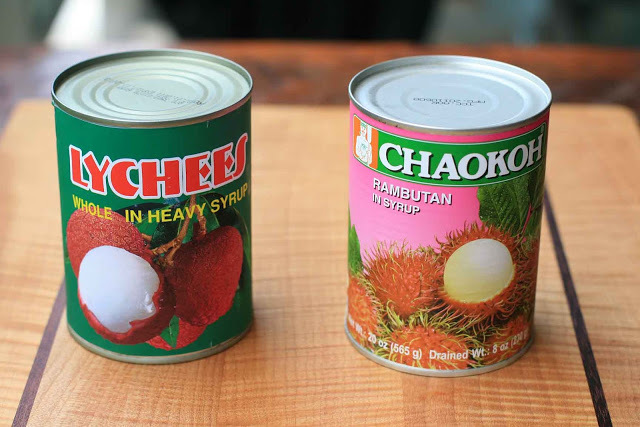 But for those of you who aren’t as lucky, both lychee and rambutans are sold canned. 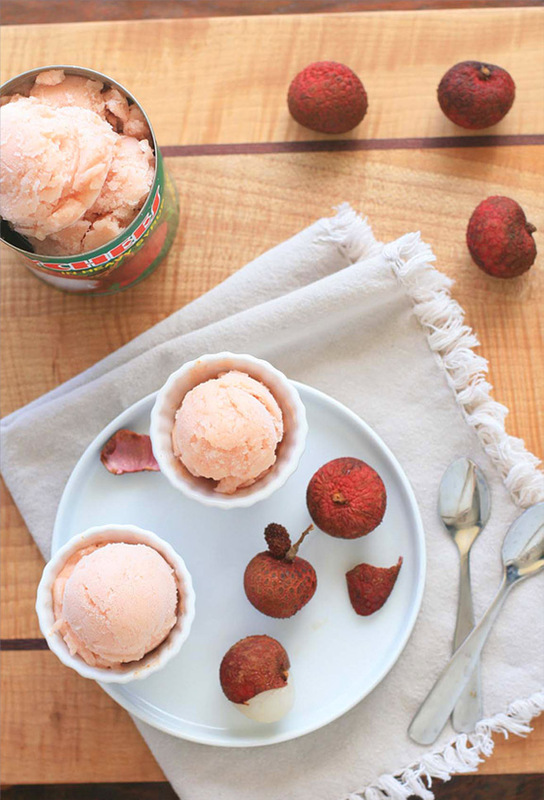 If you can refrain from eating them straight, rambutan and lychee make a wonderful sorbet. 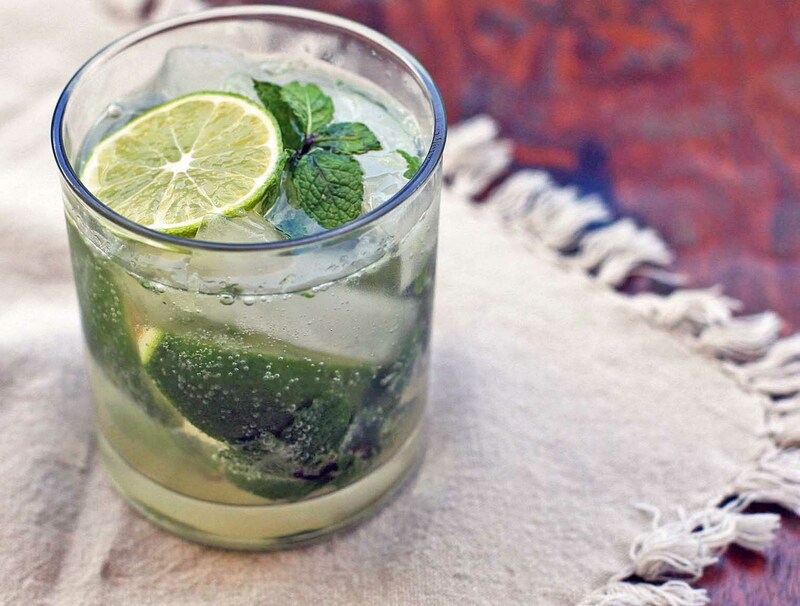 The drained lychee or rambutans are blended with a simple sugar syrup and just a touch of lime. You can leave the mixture as-is for a sorbet with just a touch of blush pink color or enhance the color with a drop or two of red food coloring. Combine the sugar, water, and corn or tapioca syrup in a small saucepan over medium heat. Bring to a boil, stirring occasionally to help dissolve the sugar. Let the mixture boil for 2-3 minutes. Remove from heat and let cool. 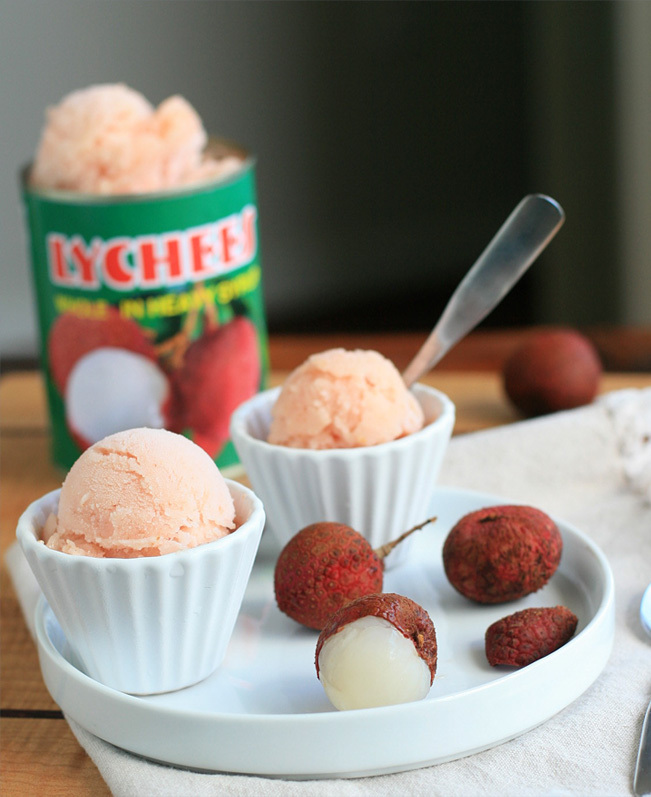 Process the lychees in a blender or food processor until smooth. 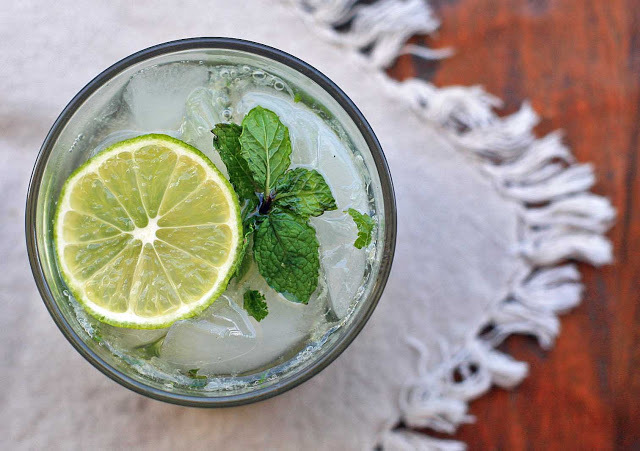 Pour into a bowl and combine with the cooled sugar syrup, lime juice and food coloring, if using. Cover and refrigerate until thoroughly chilled. Freeze the mixture in an ice cream maker according to the manufacturer’s instructions. 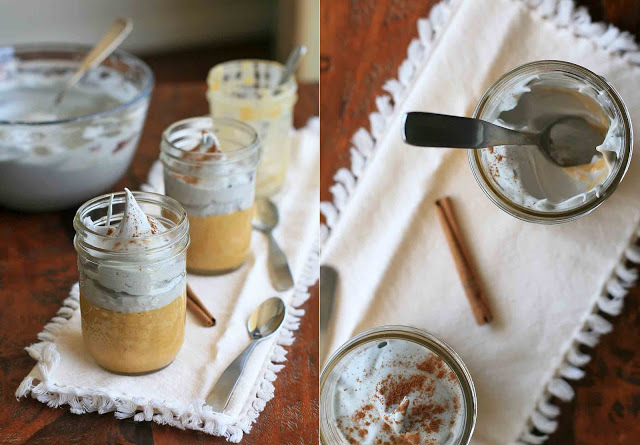 Scoop into a freezer-safe container and freeze until ready to serve. Note: if you use corn syrup, do not use the high fructose variety, as this will make the sorbet too sweet.